A Delhi court on Monday sentenced death penalty to two of the main convicts and life imprisonment to one in Jigisha murder case. Jigisha Gosh who was working in the Hewitt Associate Pvt Ltd as an operation manager was abducted and brutally killed on 18th March 2009 by three accused in the case – Amit Shukla, Baljeet Malik and Ravi Kapoor whom are also accused of murdering television journalist Soumya Vishwanathan on September 30, 2008 while she was returning home from her office. The three main accused abducted Jigisha gosh from the spot where her office cab used to drop her every night, near her home in Vasant Vihar, an area of South Delhi. 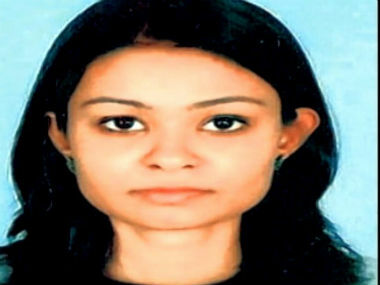 Her body was recovered three days later from Haryana, Surajkund. Delhi police demanded death penalty for all the accused commenting that they killed Jigisha for “pleasure’, killed her and then used her atm card for shopping. Special Public Prosecutor Rajiv Mohan said “There was no provocation. There is no mitigating factor in the matter. It was murder for pleasure. The footage shows they had no remorse at all, which is an aggravating factor”. And the murder weapon found during solving Jigisha case has led to another murder case cracking the case of Saumya Vishwanathan, who was a journalist with a news channel. Soumya was shot dead on September 30, 2008 while she was returning home in her car from office in the wee hours.